Shy and quiet, all the same. And the entire world lost vision, and sense. Little Mary’s watch fell in the lake. The silty mud for the lost treasure. My lungs pled for air. No fail safe signal sounded to pull me out. My calves when I felt the tug of hands. clad in white, blue and pink. it with Lysol or ammonia. I forgot bees are frisky this time of year. I must have stepped in their hole. rows of yellows, blues, violets, pinks. placed them in the trunk. air pumps, needles and networks of wires. 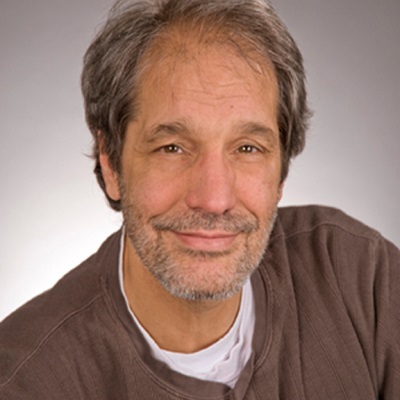 Bruce Greenfield, PT, MA (Bioethics), PhD is an Associate Professor in the Division of Physical Therapy and the School of Medicine and Senior Fellow in the Center for Ethics at Emory University. Dr. Greenfield is a well-known physical therapy educator and qualitative researcher. He serves on the APTA Ethics and Judicial Committee, and on the editorial boards of the Journal of Physical Therapy Education, the Journal of Orthopedic and Sports Physical Therapy and the Journal of Humanities in Rehabilitation. He wrote this poem, Imprisoned, as an experience of what it may be like to a heretofore healthy individual during and immediately after a spinal cord injury. The poem mixes memory with present reality as the narrator links immediate sensory experiences of hearing, sight, touch and smell to past experiences. In some ways, the poem reflects how memory is used to construct present meaning and understanding. The aim of the poem was to imagine the horror and the slow realization that one with a life changing injury awakens to. It is what Susan Sontag refers to in moving from the Kingdom of the Well, to the Kingdom of the Sick, with illness as the night side of life.